Solana Beach is a coastal community about 17 miles north of San Diego, just south of Cardiff-by-the-Sea and bordered on the south by Del Mar and to the east by Rancho Santa Fe. 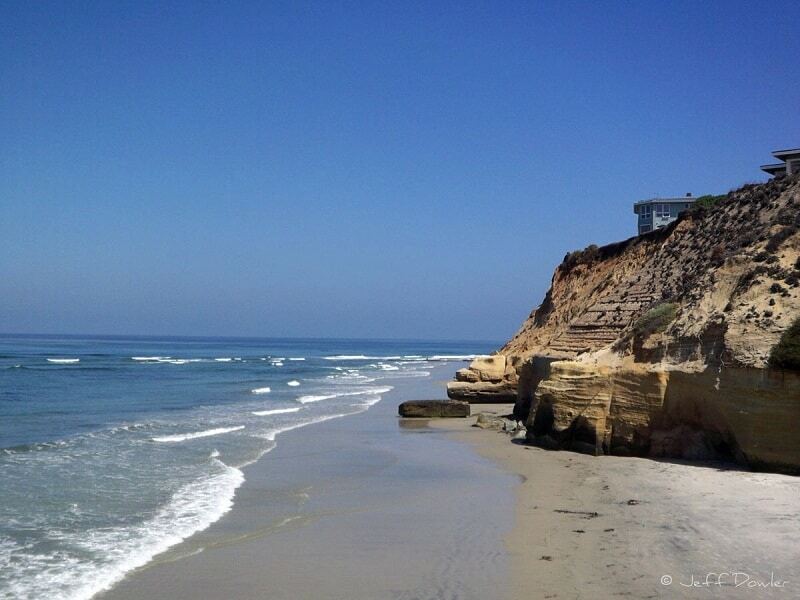 Solana Beach covers an area of about 3.5 square miles, with a population of 13,337 (per the 2014 census). A claim to fame, depending on your perspective, is the 2003 enactment of a smoking ban on its beaches, a trend that has been followed by many other California beach towns since. But Solana Beach is known as a desirable residential and business center (plenty of small businesses and high-tech companies here), with beautiful beaches, a health economy, pricey housing, and easy access to LA and San Diego via the freeway, the Coaster, and an Amtrak train (both types of trains stop in town). 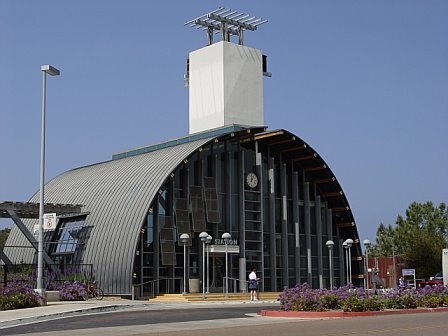 Much of Solana Beach is centered along the historic Route 101Coast Highway, with a very popular and well-known design area known as the Cedros Design District one block to the east. 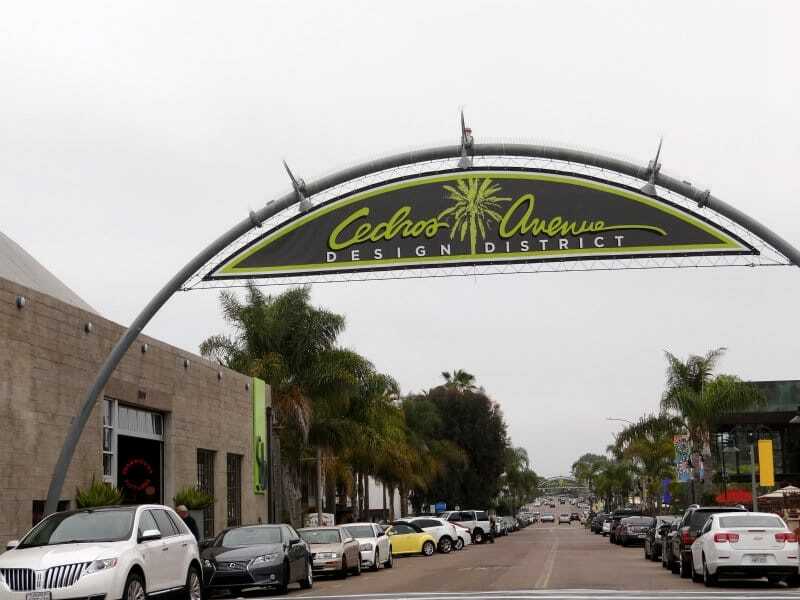 The Cedros Design District is a shopping mecca, for people who are remodeling or building a home and want assistance with interior and exterior design, furniture, gardening and landscaping. But there’s more. 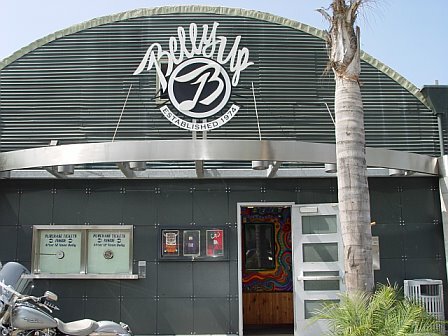 Why not enjoy one of the several restaurants, prowl through clothing shops, attend a live music concert at the popular Belly Up Tavern, or poke through numerous art galleries on the weekend or during one of their evening Art Walks. 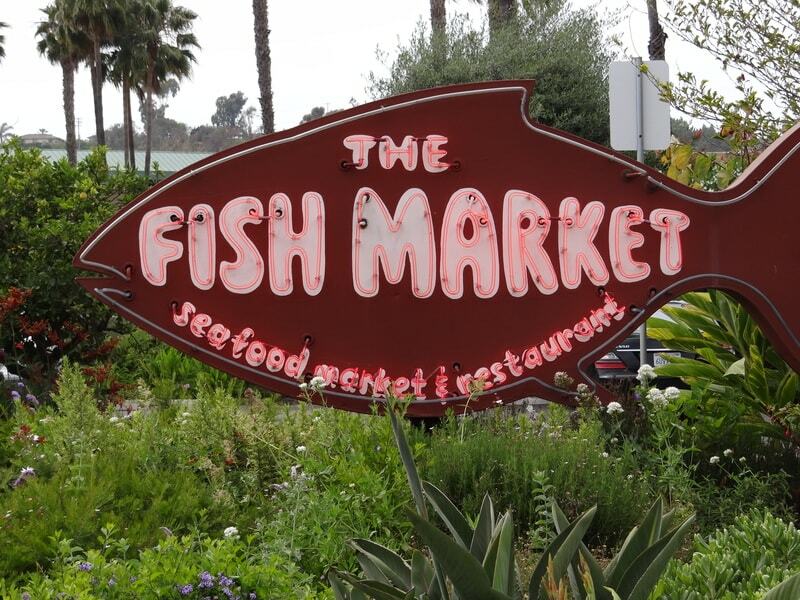 Besides being a main commuting route through Solana Beach, the main street offers a broad range of shopping and services. You will find the typical shops and services catering to a beach crowd (and vacationers) as well as more upscale clothing boutiques, home furnishings stores, restaurants, small businesses and Frog’s Fitness Center. If you need a hotel, you’ll find several (e.g., the Holiday Inn Express and Courtyard by Marriott on the Coast Road) as well as condos and homes to rent for vacation stays on or near the beaches. You should expect some crowds during the summer, especially with the San Diego County Fair, and thoroughbred racing season (roughly July 8 through September 5) at the Del Mar Race Track just south of town. Dining in the area can be quite good, and eclectic, ranging from fast food to fine dining. A few examples: Parioli Italian Restaurant on the 101 has a good reputation; Blanca and Pamplemousse Grille are the most upscale and pricey; and the Wild Note Cafe at the Belly Up Tavern in the heart of the Cedros Design District is a terrific place for lunch, dinner or weekend brunch. 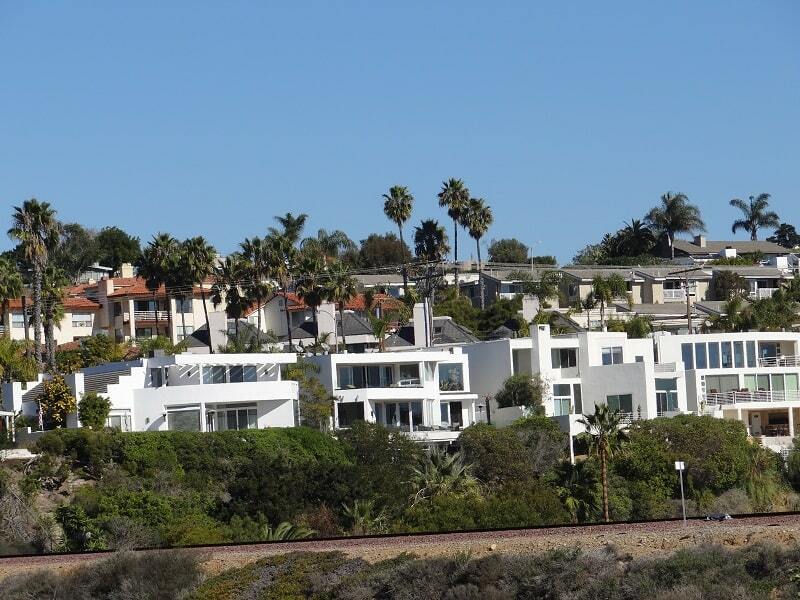 Much of the Solana Beach coast line is bluff, occupied in many areas by private homes (Pacific Avenue, Circle Drive) and expensive condo developments, especially along S. Sierra Avenue. The public can access the beaches at several points, such as Tide Park and the popular Fletcher Cove (offering a tot lot, restrooms, a grassy area, and basketball, plus the fabulous beach! ), site of the annual Fiesta Del Sol. Mother Nature, as always, has her way. 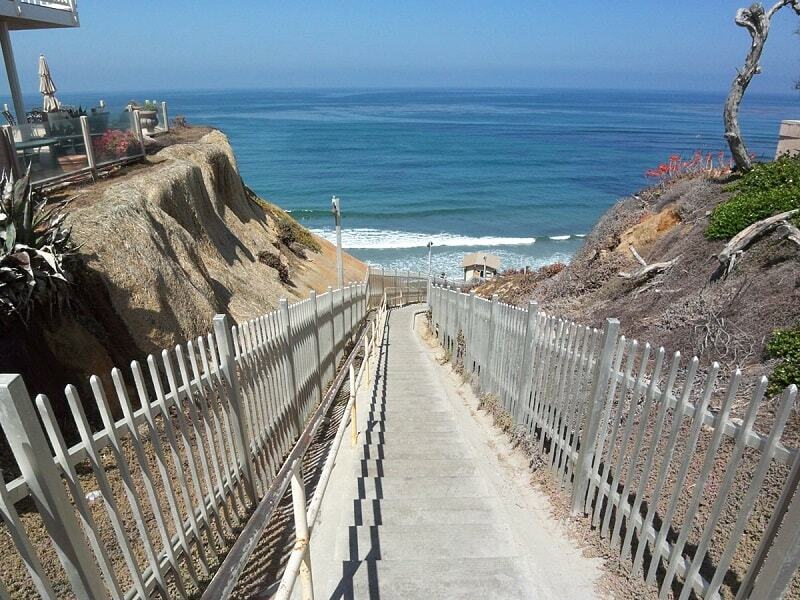 Some areas along the ocean are at risk for bluff failures and active shifting of the bluffs, and some residents have installed seawalls when they could get approval. Recently new hefty fees have been implemented against residents who install seawalls to compensate the public for loss of beach. Children in town attend one of 6 elementary schools in the Solana Beach School District. Older children will attend public schools in the San Dieguito Union High School District. There are several private schools as well. Golfers can enjoy two courses in Solana Beach – the Lomas Santa Fe Country Club (private) and the Lomas Santa Fe Executive Golf Course, which is public. You’ll also find excellent courses nearby in Del Mar (e.g., Torrey Pines) and Rancho Santa Fe, most of which are private and expensive. 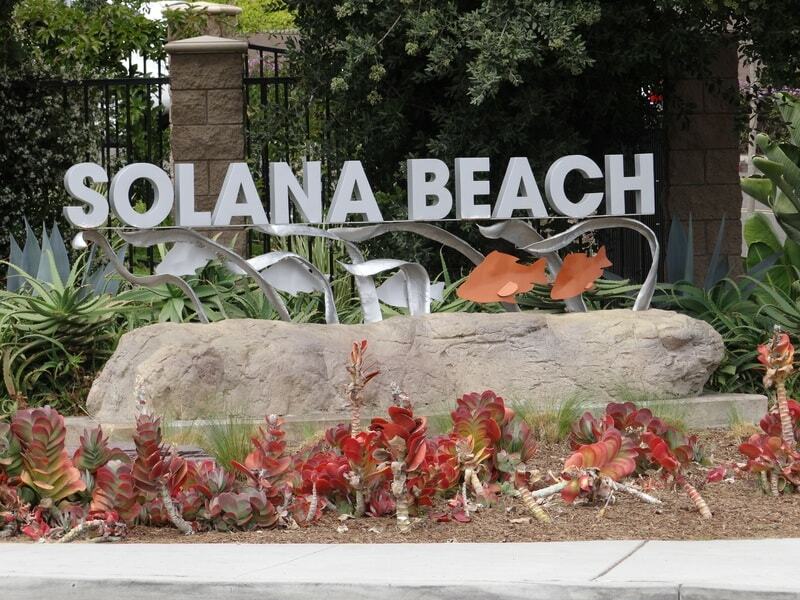 Housing in Solana Beach is fairly diverse, ranging from vacation and rental apartments, to a mix of attached and detached condos, single family homes, and luxury waterfront properties. 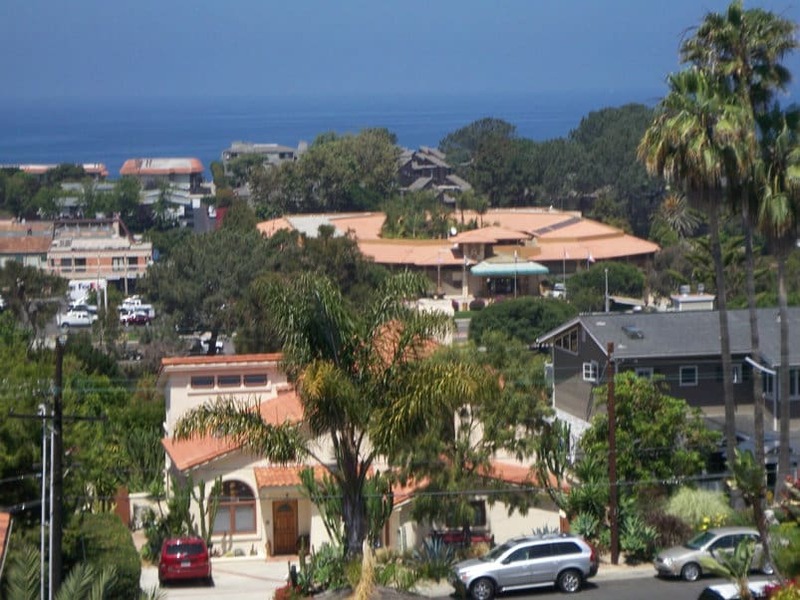 Because of the hilly topography a good number of properties on the east side of the Coast Highway, and even east of the 5 freeway, offer distant views of the ocean, as well as the San Elijo Lagoon. Beware that homes near the freeway will have some traffic noise so be sure to check this out. There are brand new homes as well as a large mix of bungalow and cottage style properties, as well as a mix of contemporary, traditional, spanish and other housing styles that defy classification; a drive through town will show a good number of substantial remodels taking place to take advantage of the views. Be aware that residents, and the town, are especially concerned about preserving views; you will likely be required to show the silhouettes and elevations of any planned remodels and additions using C-Story Poles in the event your neighbor’s views could be potentially obstructed. 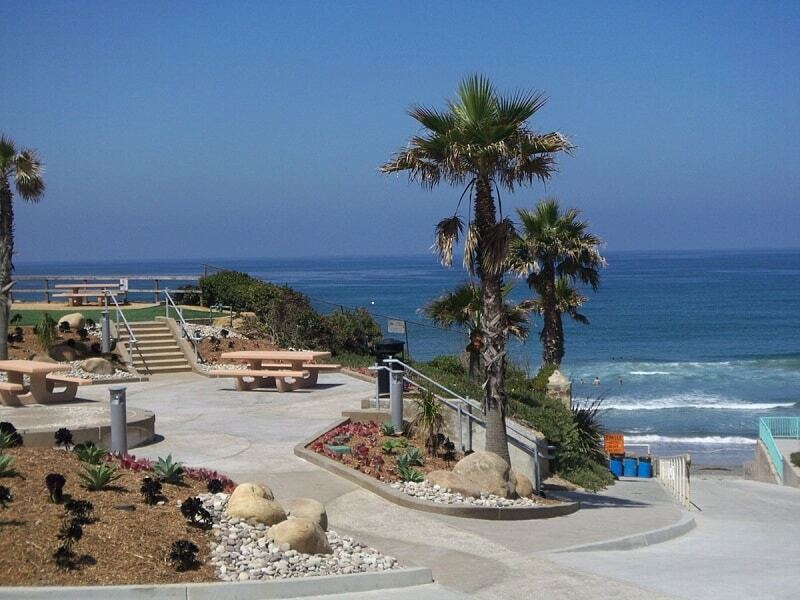 The Solana Beach real estate market traditionally does not have a large inventory of homes. Combined with the location, the beach life, and area amenities, this results in Solana Beach being one of the more expensive communities on the coast in San Diego County behind Del Mar and La Jolla, and neighboring Rancho Santa Fe, the priciest by far. Solana Beach offers a wonderful seaside lifestyle and ambiance, with great shopping, good schools, varied dining, and beautiful beaches just 30 minutes or less to downtown San Diego on the freeway (non-rush hour). The location allows residents offer easy access to shopping and other amenities in neighboring Del Mar and La Jolla, and the local train station, with both commuter rail (The Coaster) and Amtrak trains, gives you the option of visiting downtown San Diego, North County, and Los Angeles in a little over 2 hours. This high quality of life comes at a hefty price, but more reasonably so than in its 3 closest neighbors – Del Mar, La Jolla and Rancho Santa Fe.